Plans for the £17m redevelopment of a leading rural skills college in East Yorkshire have been unveiled. The proposals will give Bishop Burton College near Beverley a modern campus and increase standards in vocational education, officials have said. More than 3,000 students attend the college on courses including farming, animal management and horticulture. The money will be spent on a host of new facilities for animals, learning, sports and student accommodation. College governors have approved the plan, which will now be subject to a feasibility study and Learning and Skills Council approval. Principal Jeanette Dawson said: "Too often vocational education is seen as second class with courses which should meet industry standards, such as animal management, being taught in shabby ex-science labs. "At Bishop Burton College we believe vocational education and training should be delivered in state-of-the-art facilities to meet the needs of both learners and employers." 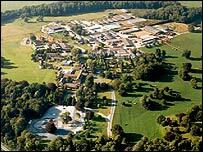 Although the college is known as a leading agricultural centre, Mrs Dawson said there were plans to develop its reputation for sport.